Should you brand your company vehicle? You likely need a vehicle to conduct business. 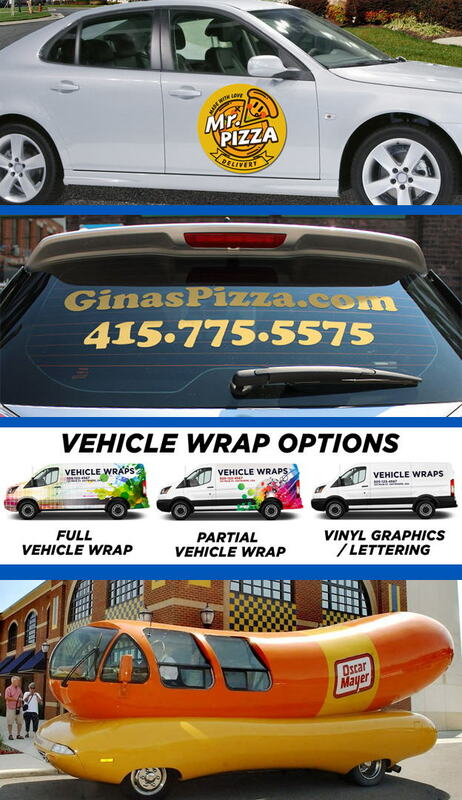 If you brand your car, truck, or van, it can do double duty as a marketing tool, increasing your visibility. There are many branding options, from magnetic signs to customized vehicles, and everything in between. If you do brand your vehicle, make sure its on-brand for your business. For example, a business that sells environmentally-friendly products should communicate its commitment to the environment with a hybrid or electric car as opposed to a Hummer. Make sure the artwork is highly visible and can be read quickly. Unless you’re parked, you might only have a few seconds to communicate your message. But can this expense pay off? To measure performance, consider signage that allows you to measure performance – use a special web address, phone number, or offer that isn’t promoted in other places. And keep in mind, over 60% of consumers would rather buy products from a company they’ve heard of than one they haven’t. Driving your branded vehicle to and from work will increase your visibility, and business signage on your car can help you reach your target audience. Simply parking in the neighborhoods where they live, work, and shop will increase the number of potential customers who see your car, and your business name. A potential drawback is that you must always remember you’re representing your business when driving a branded vehicle. If you are an aggressive driver or prone to road rage, this is probably not a good choice for you. While you’re on the road, act the same way you’d act in your store – be polite, obey the rules of the road, and be mindful of the image you’re projecting. Your turn - do you have a branded car or van? Would you consider one? Tell us all about it, and we'll share your comments! And if you’re in the market for a new company vehicle, we can help. Contact a Relationship Manager or complete our online application to take advantage of a vehicle loan from Citizens State Bank.